I love watching movie specially the comedy movie. Yesterday my hubby, Vince and I were watching movie in SM Cinema, the title of movie is Bromance under star cinema film and directed by Wenn Deramas. 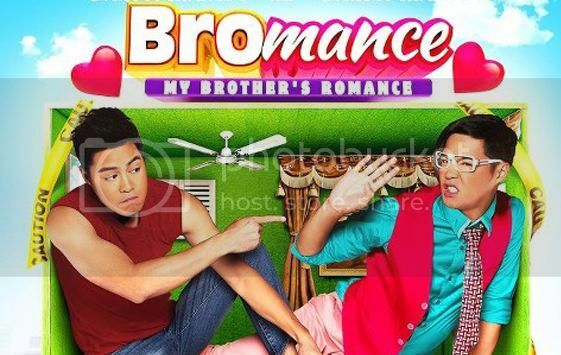 It is a type of comedy movie starring Zanjoe Marudo’s who is a dual role as brothers, one macho and the other gay. Anyhow, my little Vince is watching movie for the first time; I just worried that time, because I just thought that his feel tantrums, bored, scared and feel nervous reactions. But I feel wrong because he was really enjoyed to watch when he saw the big screen. Aside from that he also laughed during the people laughed because the movie is comedy type. I also like the good reaction of Vince because he also focus the movie, it looks like an old man hehe. I want capture the photo while Vince laughing but camera is not allowed inside the cinema. That’s why we continue our watching the movie. My hubby and I were really happy the consequence of my little Vince because he did not feel nervous, scared and tantrums for the first time that he watched the movie nevertheless he was really enjoy.